Last December I was honoured to be asked be the amazing Riikka to contribute to a series of fabulous Creative Christmas Calendar inspiration blog posts. this was my contribution. 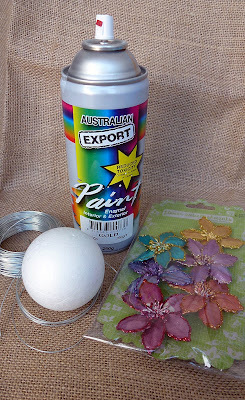 "I would like to share with you some very simple quick and easy Christmas decorations They can be created to suit whatever colour scheme you would like, the colour is only limited by what is available in the range of spray paints in your local hardware store. 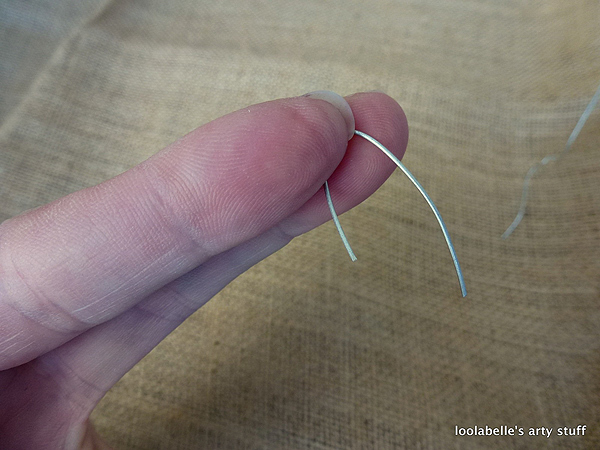 To start with cut a length of wire approximately 50cm long. 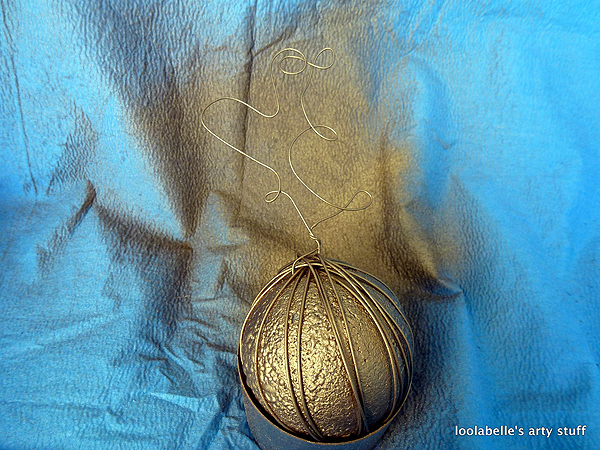 Then in a free form manner create loops and waves in the wire [as depicted above]. 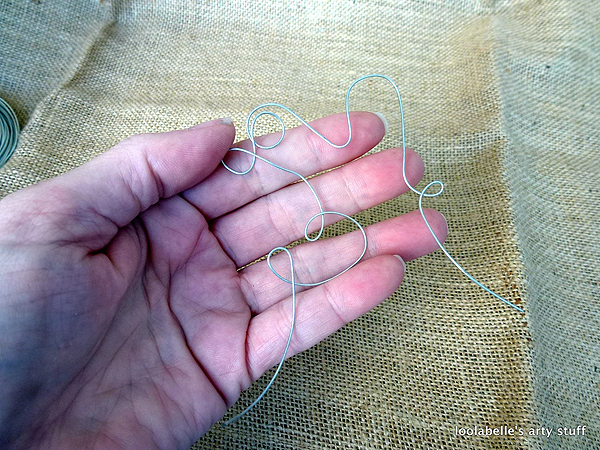 When you are happy with your design twist the ends over to complete your free form patterned loop. Bend these ends to the same shape as depicted in the photo above. 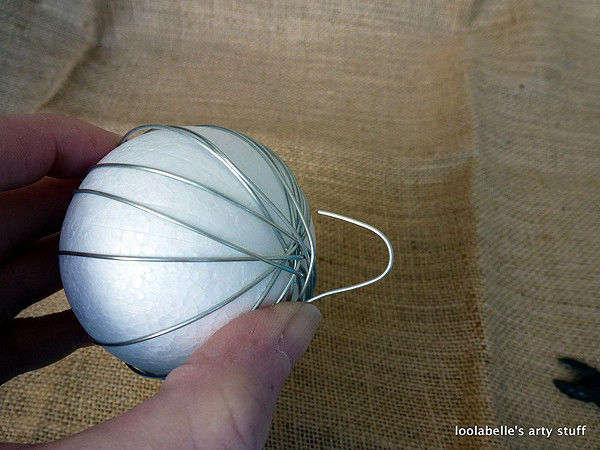 Put to one side and begin to fashion the ball part of the decoration. Cut a short length approximately 6-7cm long and bend over [as depicted above]. 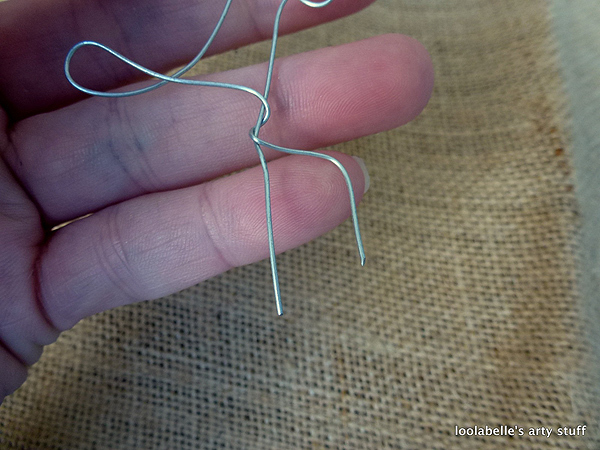 To start with bend over the end over the wire at right angles, about 2.5cm. 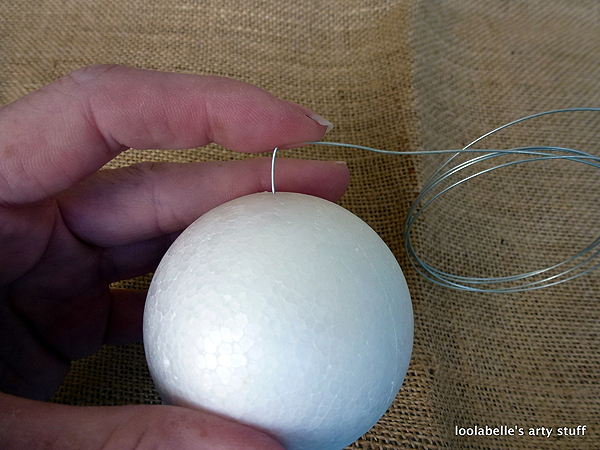 Push this end into the foam ball in the midline. 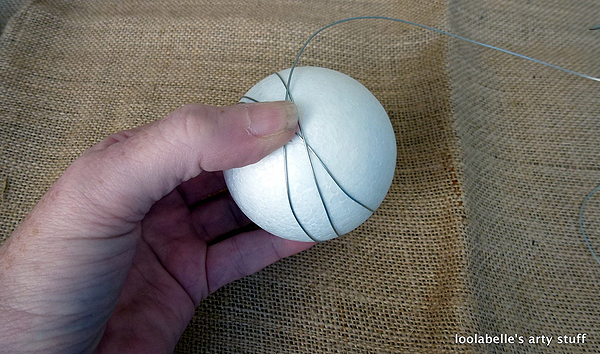 Whilst holding this in position with your thumb proceed to wind the wire abound the foam ball. Continue to wind it around in a segmental manner. 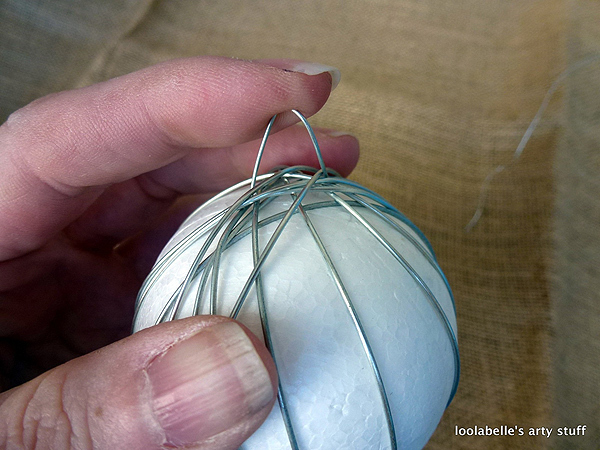 When you are happy with the wire coverage around the ball, cut the wire with a short length of about 4cm, bend it over as shown above and press end into the foam ball, over the centre where the wire passes over itself, this will help to hold the wires in place. 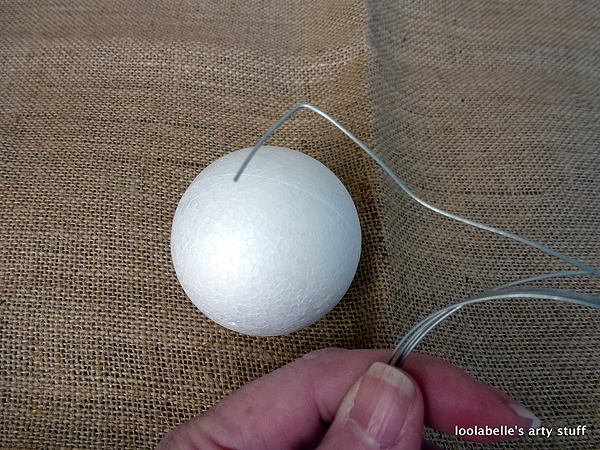 Using the short bend over length press it into foam ball over the crossed over wires to hold them in place at the other end of the ball. 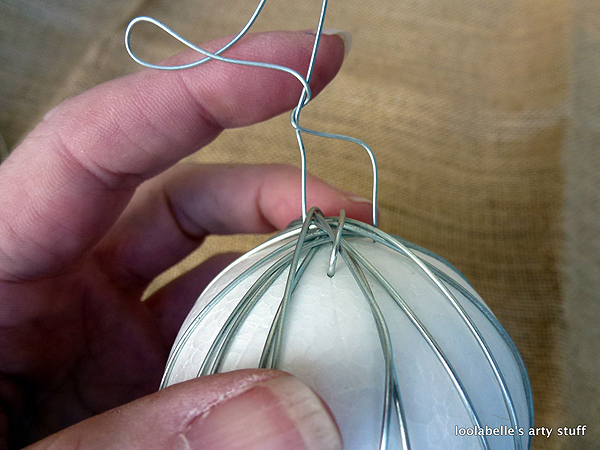 Attach the free form loop in the same manner. 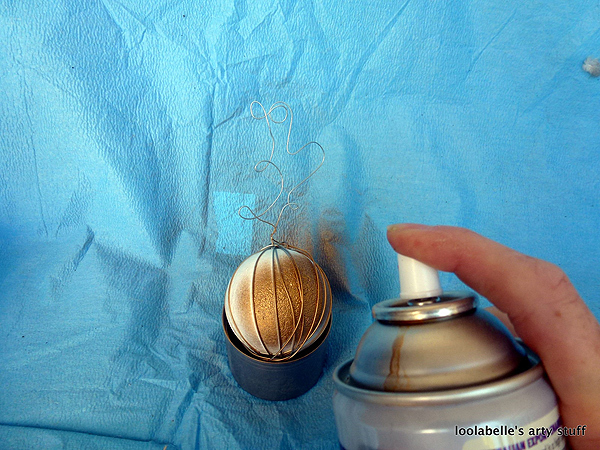 Using your desired colour spray paint spray the decoration on all sides and allow to dry. 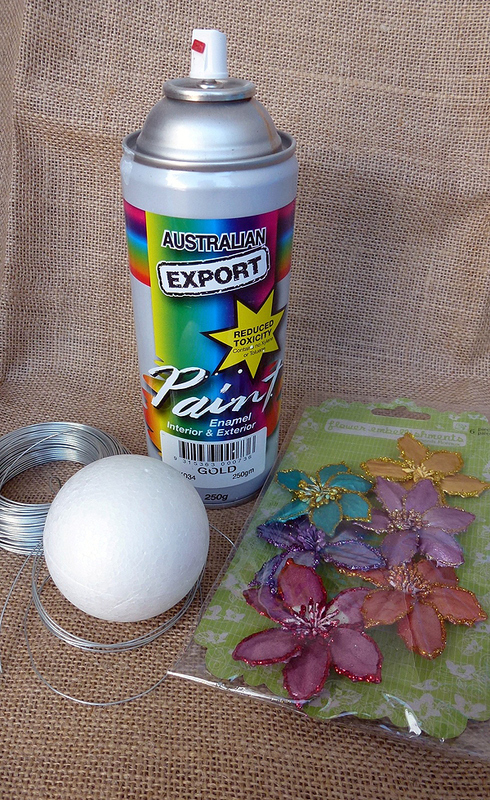 Once dry adorn with your desired Christmas themed flowers and embellishments. 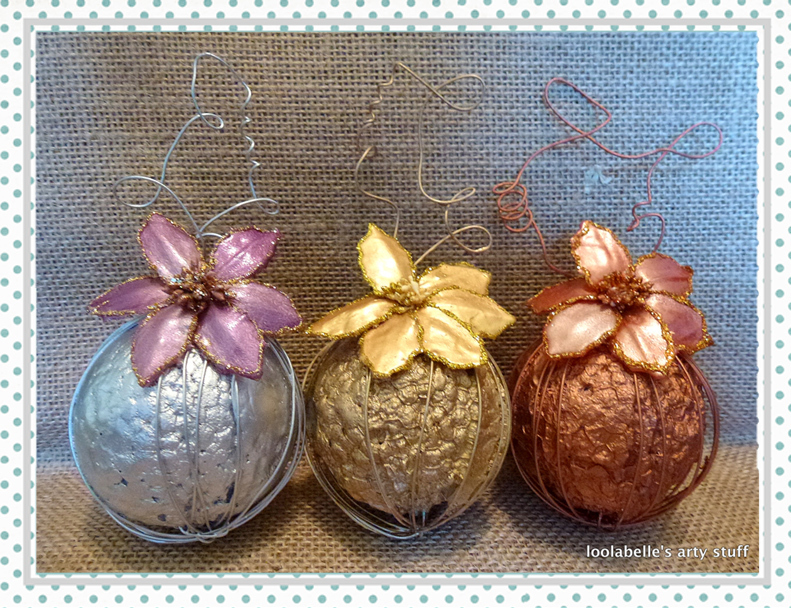 I have kept mine simple and used Prima flowers which were glued into position. 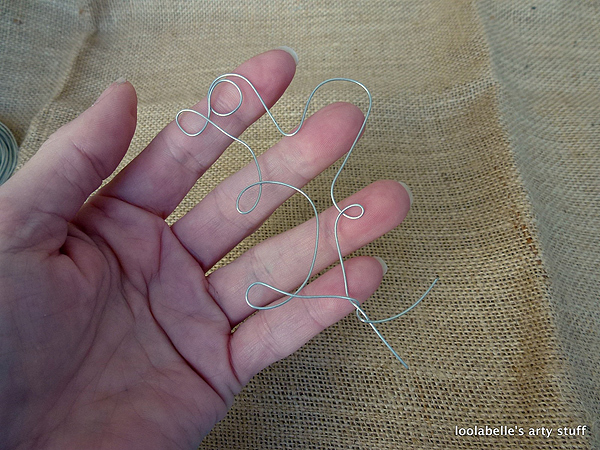 I do hope you enjoyed this quick easy step out on my Funky Wire Christmas embellishments."